What is the Project Process Matrix? 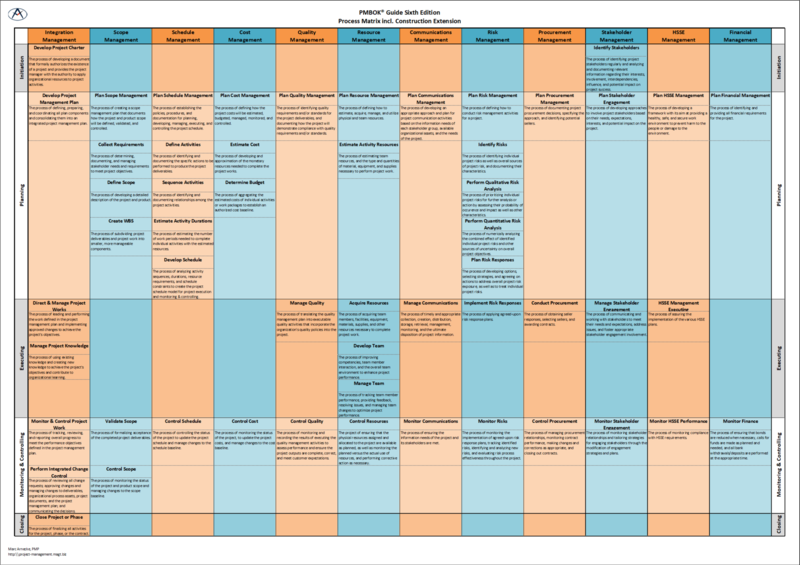 The project process matrix is a poster that provides overview over the 5 process groups and the 10+2 knowledge areas. The extra 2 knowledge areas are typical for construction projects. The poster is designed to be printed in DIN A2 (or bigger).